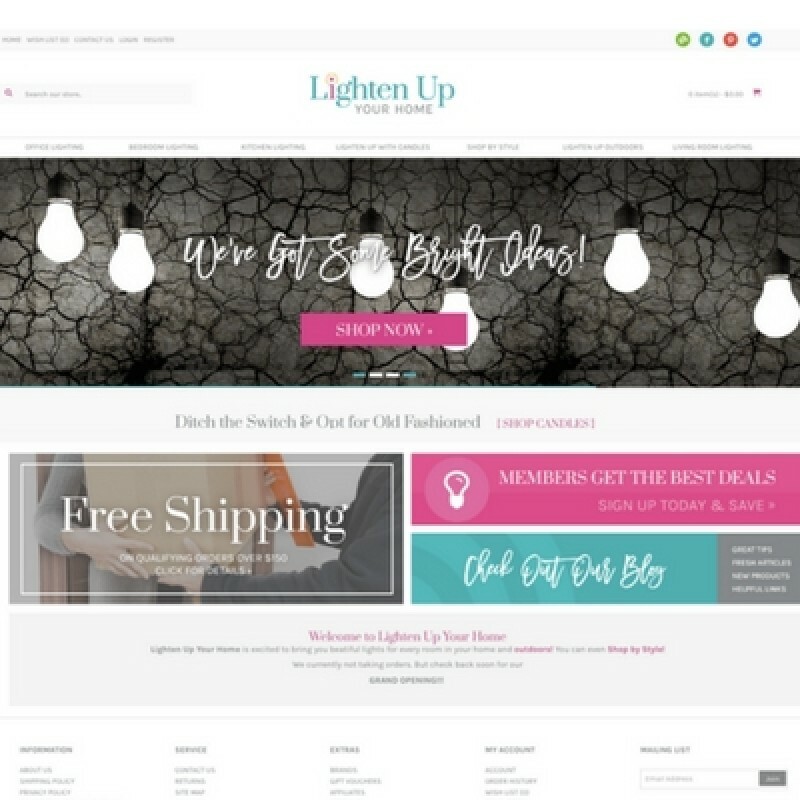 Concept: We've got some "bright ideas" at Pure-Ecommerce - Introducing LightenUpYourHome.com, a drop ship website that will bring light and charm to any home! Here online shoppers can find a variety of lighting fixtures for the office, bedroom, kitchen, living room and outdoors, as well as, beautiful candles to illuminate any room. 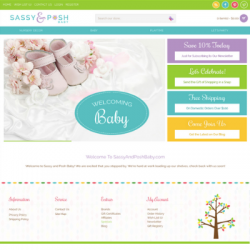 Our team will load your site with a fabulous collection of 800 drop ship products, which allows you the flexibility to run your online store from anywhere. People will enjoy shopping here to find fabulous products to light up their lives! 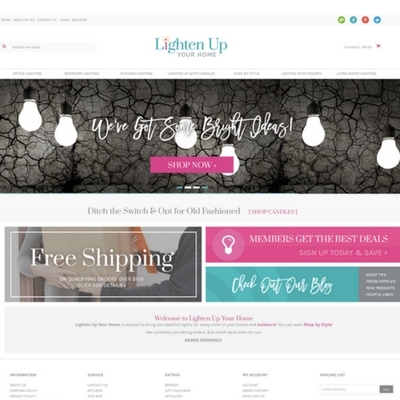 LightenUpYourHome.com is a 100% responsive design website, which means this site will look great whether someone is shopping from their PC, tablet or smartphone. 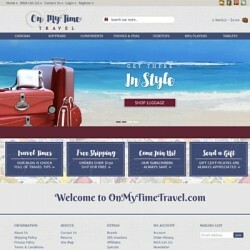 As the owner of this website, you'll love the features of this website as it offers you many different options to feature your products and marketing messages. You can see the outstanding features here! Plus, you can market your business to people through the connected social media pages, blog, and newsletter where you can offer insight into adding remarkable brilliance and beautiful light into the home. 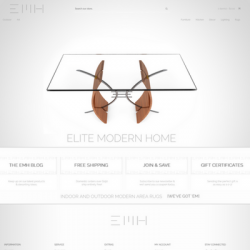 Let Pure-Ecommerce help you step into this exciting home goods and decor website business opportunity! You will also receive access to our exclusive eLearning Library as you work through our 10 Step instructional process as you learn to set up, run and market your website business. You also have the option of upgrading to our platinum package to give you even more assistance in starting an ecommerce business. The Global Market for Lighting Fixtures and Luminaires is forecasted to reach $93.5 Billion (US$) by 2020. It is estimated that the general lighting sector will experience growth of around 15 percent between 2016 and 2020. The LED lighting market is anticipated to grow 45% per year through 2020 LED lights at$13.6 billion in 2014, are anticipated to reach $63.1 billion by 2020.